The Vancouver Aquarium is giving up its fight to keep whales and dolphins in captivity, saying the heated public debate on the issue is hindering its conservation work. Staff at the non-profit attraction learned Thursday morning of the decision to end the cetacean program, according to CEO John Nightingale. "We absolutely believe in the value of whales and dolphins in engaging people," he told CBC News. "But you also have to be realistic, and it has gotten to the point where the debate in the community, with the lawyers, with the politicians ... is debilitating our work on our mission." Last spring, the Vancouver Park Board voted to prevent the aquarium from bringing in any new whales and dolphins, after commissioners said they were concerned about the ethics of keeping the animals in captivity. At the time, Nightingale said he would "fight to the end" against the ban. The change in his position is the result of long deliberations over the last few months. "We decided, through a lot of discussion in the fall, that we needed to get on with it," Nightingale said. "We've been here 61 years, the aquarium's going to be here another 61 years, so it's really important that we not tie our hands behind our backs." The park board said Thursday it is pleased with the decision and the aquarium's recognition of "passionate public debates on this issue over the last years." "The public told us they believed the continuing importation and display of these intelligent and sociable mammals was unethical and incompatible with evolving public opinion and we amended our bylaws accordingly. We look forward to working with the Vancouver Aquarium as it intensifies its focus on Ocean Wise research and conservation," said a statement from park board chair Stuart Mackinnon. 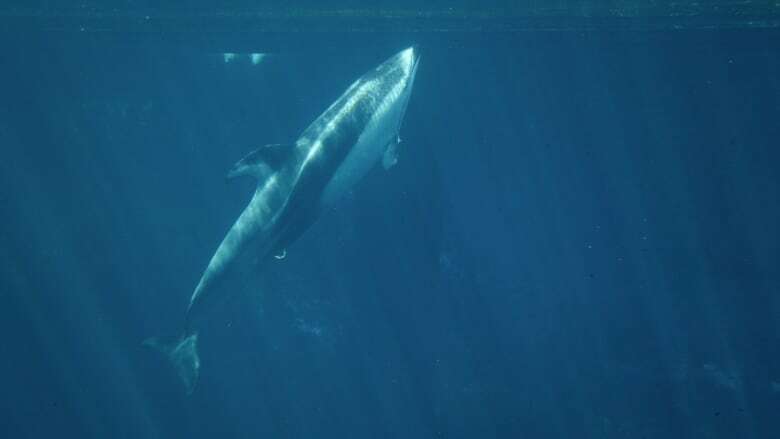 Since the park board vote, two of the aquarium's three remaining cetaceans have died, leaving Helen, a Pacific white-sided dolphin. Her fate has yet to be decided. Nightingale said the two available options are transporting her to a new facility, which comes with health risks, or bringing in a companion animal, which would mean defying the park board. "Both choices aren't great," he admitted. The decision to end the cetacean program won't affect the aquarium's work in rescuing stranded and distressed whales and dolphins, he added. The difference now is any rehabilitated animal that can't be released back into the wild will have to be transferred to another facility once they're healthy enough. But Nightingale said he'll continue to fight for the right to temporarily house animals that aren't ready to be moved, which could mean keeping them in display pools. "We want to be able to use the extraordinary facilities at the aquarium … on an emergency, case-by-case basis for individual animals." 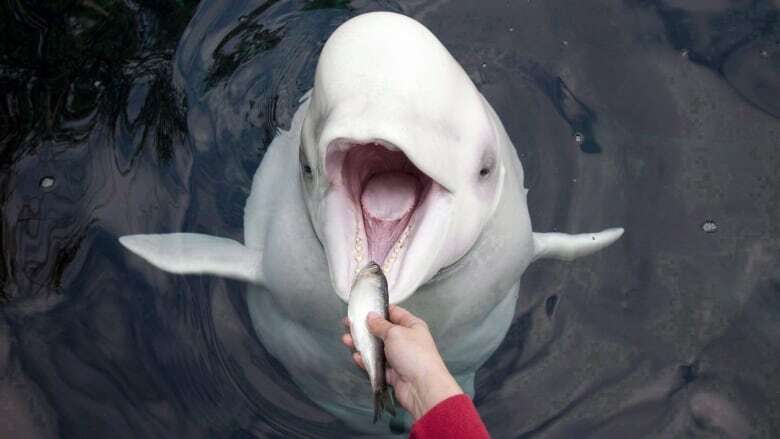 He acknowledged the aquarium's visitor numbers took a dip after the deaths of two belugas in the fall of 2016, but said he believes the public will still keep coming to learn about the world below the ocean's surface once the whales and dolphins are all gone. "As a biologist, I find the life in the oceans fascinating. I don't care whether it's a guppy or a beluga." While animal activists and groups like People for the Ethical Treatment of Animals welcomed the decision, others had mixed feelings. "I guess I can see both sides to this," said Andrew Trites, the director of the Marine Mammal Research Unit at UBC. "I work a lot with marine mammals in the wild and understand the needs and the pressures that they're facing. And some of the questions that we have about things such as the effects of underwater noise on them — [we] can only answer those questions by working with animals in controlled settings such as at the Vancouver Aquarium. "And so that research can still be done, we can still collect that information, but it's going to mean going elsewhere."